When I arrived at the Johnson Space Center for my tour, I skipped the ticket lines outdoors and went directly inside to the information desk. 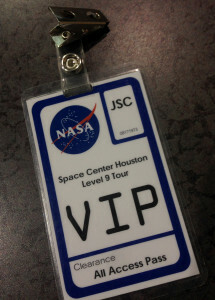 There I got my VIP Pass and ticket good for two days: one day to do the tour and one day to come back and see the rest of the Space Center. 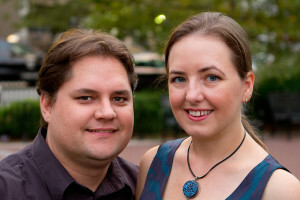 At our scheduled time, we met in the back of the space center and had our pictures taken for security purposes. We then boarded a small 12 person bus with our tour guide and driver who was also a tour guide. We would use this bus all day, so we could leave our belongings in it and only take what we needed. We were allowed to take cameras into all buildings, but some buildings did not allow any bags but they could be safely locked in the bus. 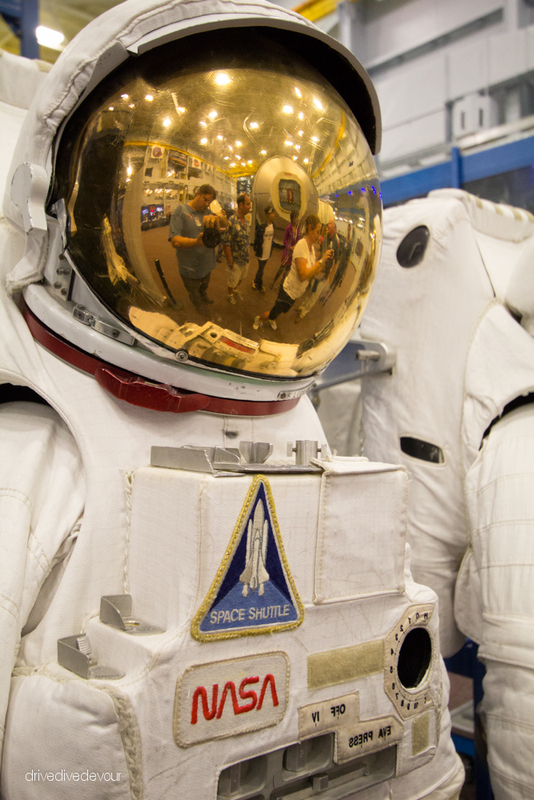 When you enter the space center property, the first things you expect to see are astronauts and scientists. Instead, you see longhorn cattle! This is because of a joint venture between NASA and the local school district to provide land for the students to raise cattle. 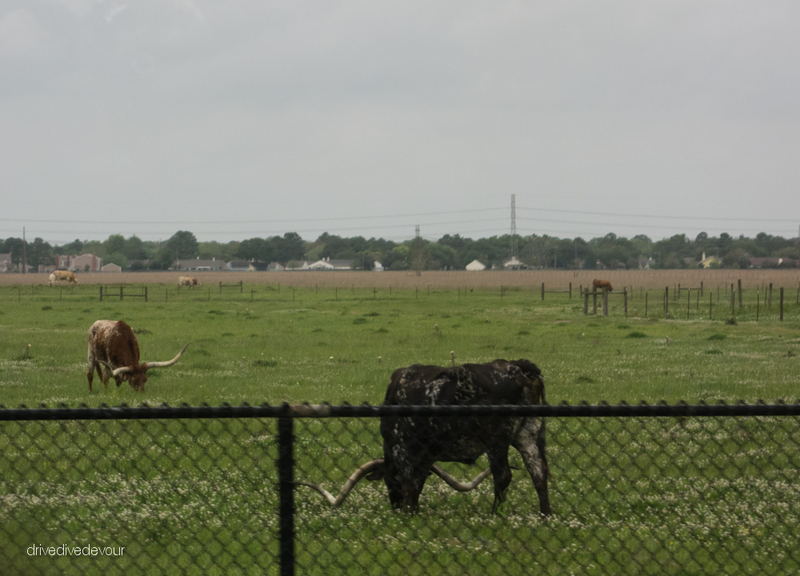 Only in Texas would a space center have longhorn cattle. The first stop on our tour was actually off of the NASA campus. 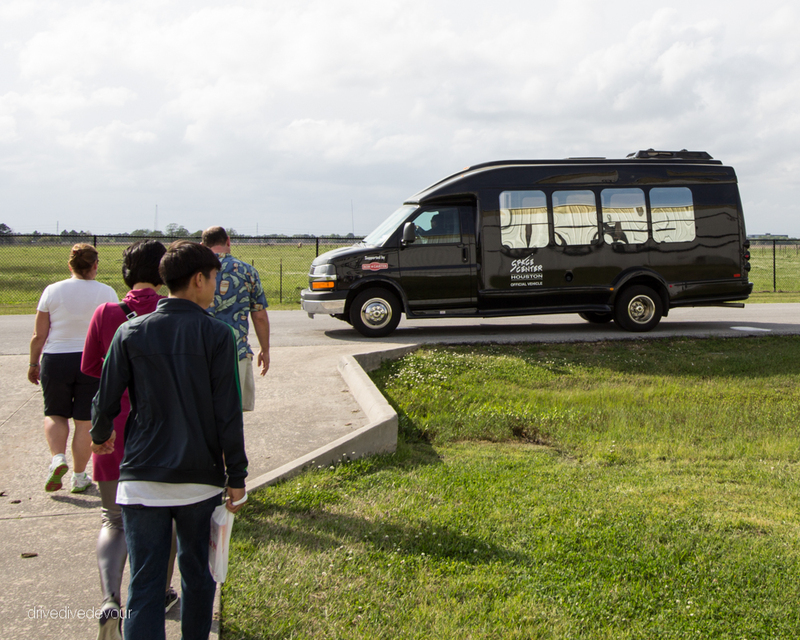 We headed over to Ellington Field which is home to various reserve branches of the military, as well as NASA’s Neutral Buoyancy Lab (NBL). As a scuba diver, this was, of course, the place I wanted to see most of all. On the short ride over, our tour guide who grew up in this area during the height of the space race told us stories of his parents packing them all in the station wagon to drive by John Glenn’s and Neil Armstrong’s houses to see if they were out mowing the lawn. He shared with us a bit of what it was like when astronauts were regarded as celebrities and the race to the moon was on everyone’s mind. 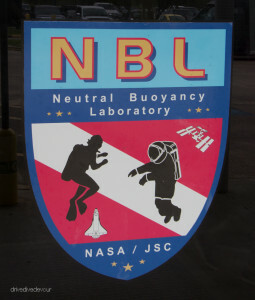 The Neutral Buoyancy Lab is where the astronauts can come as close as possible to the weightless environment of space and do dry runs (or would that be wet runs) for missions on the International Space Station. 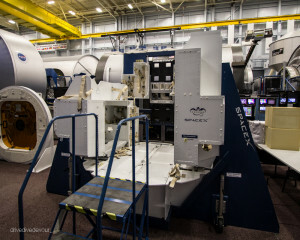 Here astronauts can work on 100% accurate full-scale models of the actual space center components. Teams of scuba divers accompany the astronauts to help them move into position under water. I could see myself doing that job one day! 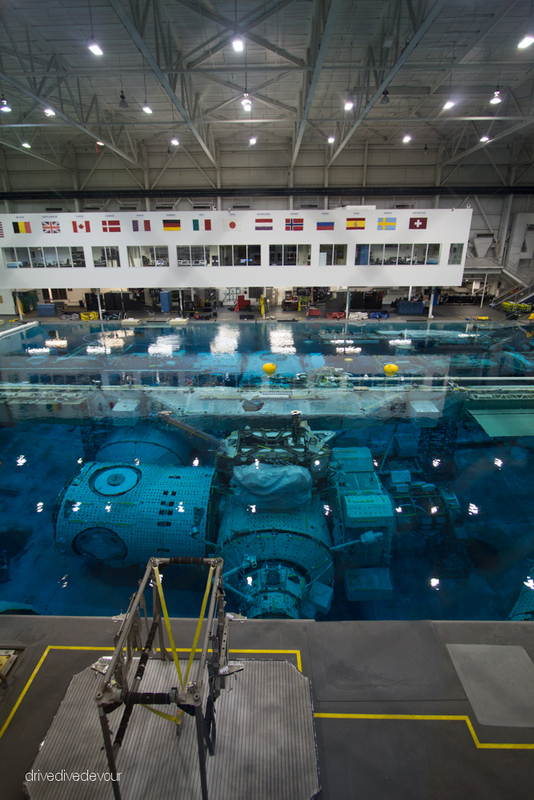 If you are lucky, you may be there on a day when astronauts are in the tank working. No one was in the tank this day, but it was still very impressive. 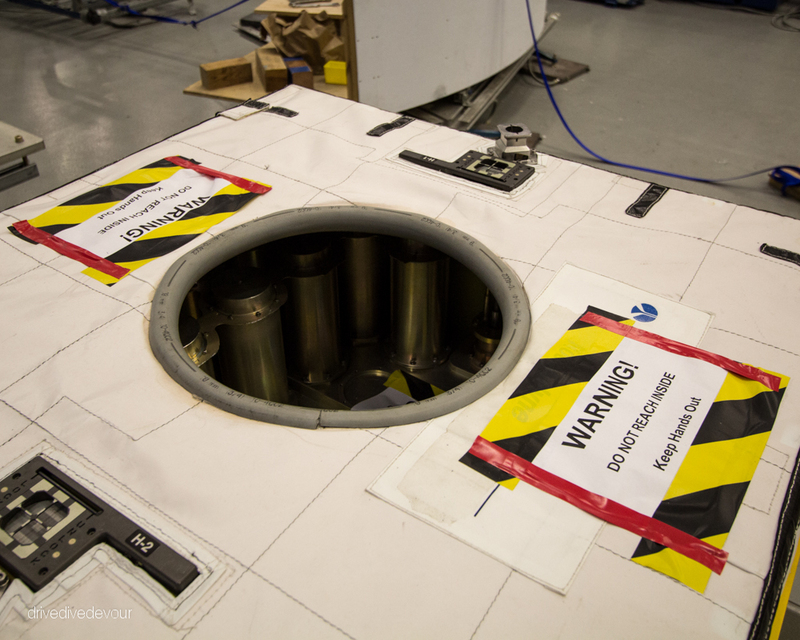 Sitting just outside the tank is the new Orion Module waiting for testing. This will soon replace the space shuttle for missions to the Space Station and keep us from having to pay the Russians for a ride. 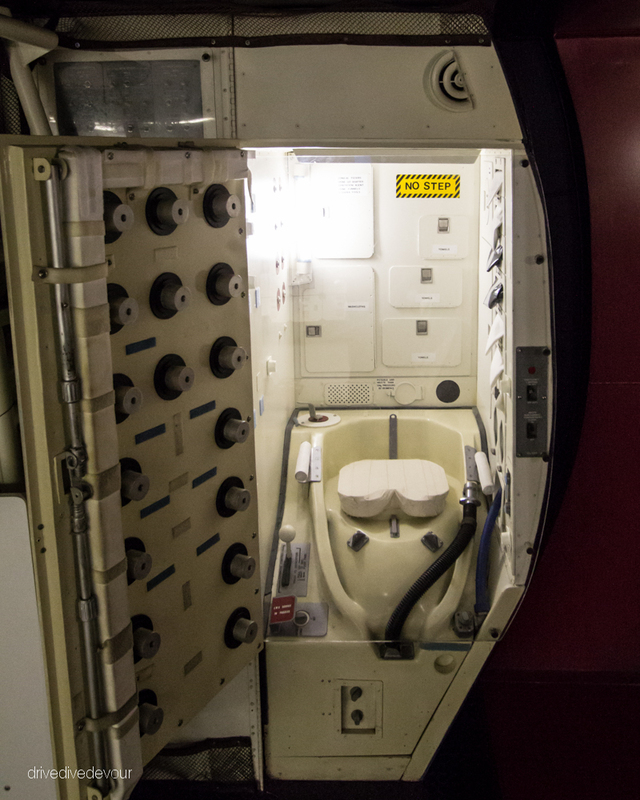 It’s interesting that they are going back to a capsule system rather than a shuttle. 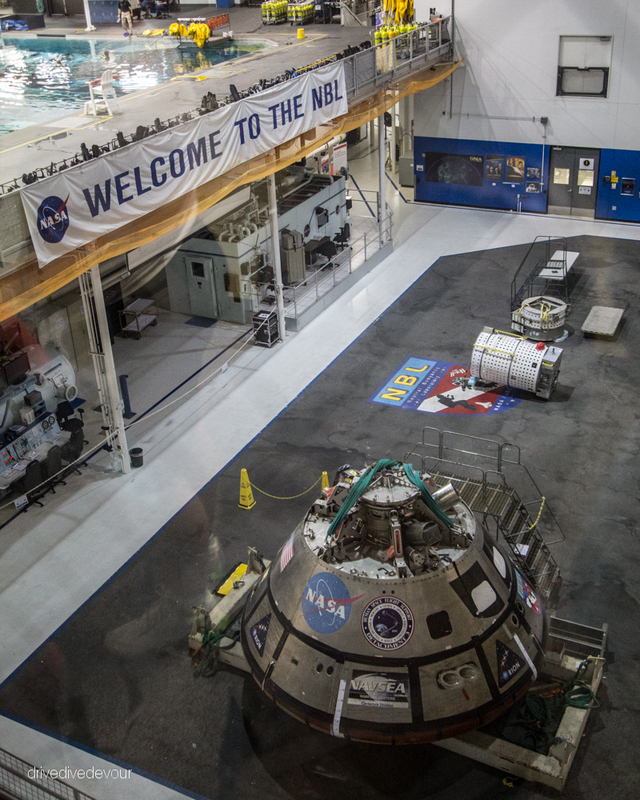 Unfortunately due to some shenanigans involving someone thinking it would be funny to jump into the pool, NASA has made the floor level off-limits to tours, so the only view of the NBL is from above. The next stop, on the other hand, puts you up close and personal in building 9 – the robotics building! 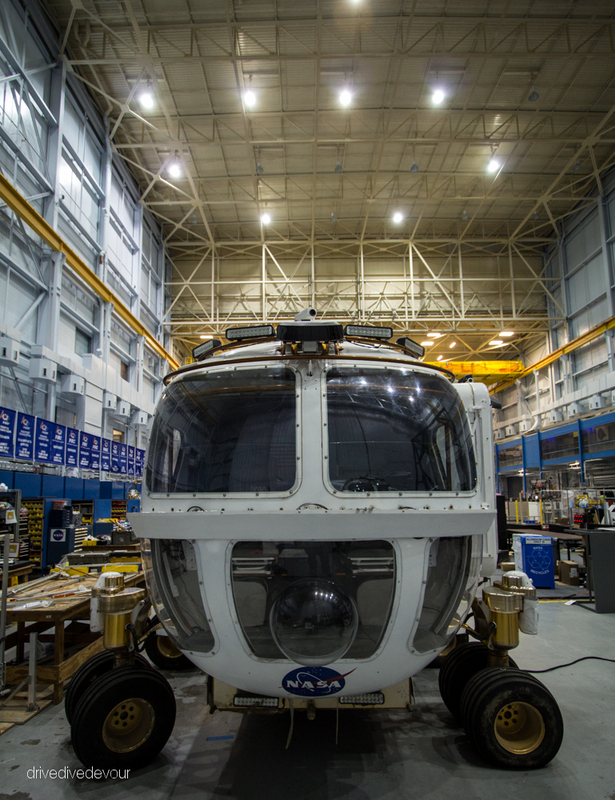 Walking into the building, we were immediately face to face with the Mars Exploration Vehicle Prototype. I had seen this vehicle in various documentaries before. 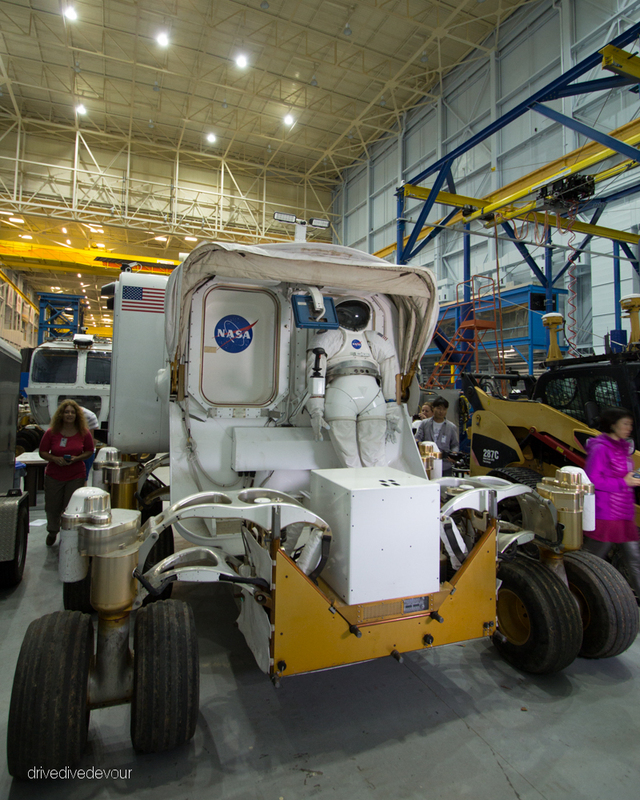 To be this close to the Mars vehicle is my equivalent of a 10-year-old girl meeting Justin Beiber (Or whatever thing 10-year-old girls are into nowadays). This vehicle is designed to get out of any terrain in which it finds itself. 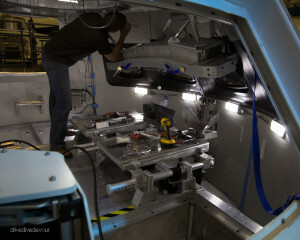 The back side of the vehicle has a space suit incorporated into it, so that the astronaut can get into the suit and walk around then return to the vehicle without bringing dirt and debris inside. Also when they are out for a walk, the vehicle can follow them autonomously. The people in this photo are others form the tour group. This is how close we were! 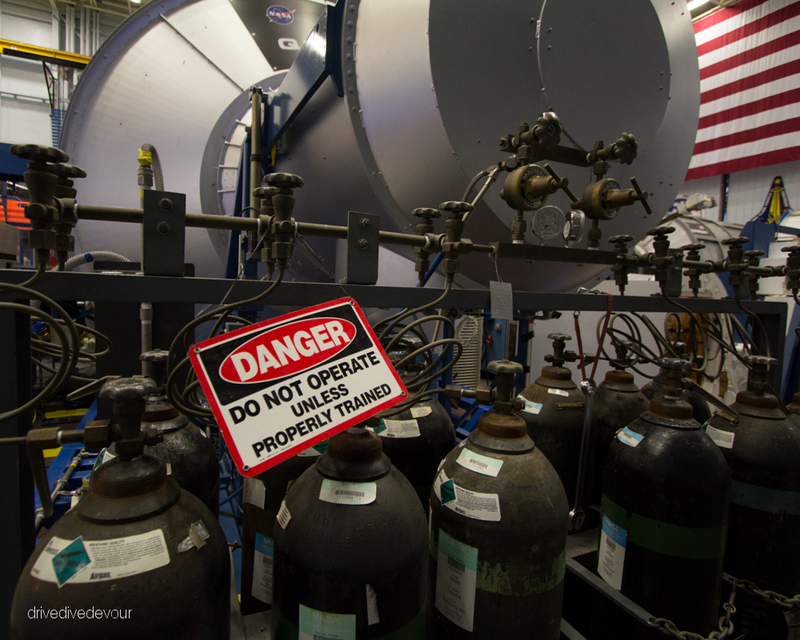 Building 9 is packed with old and new prototypes as well as current experiments and test models. There is so much to see here that I could have spent all day. Also in building 9 were several active projects. 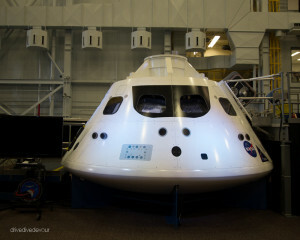 There was a mock-up of the Orion capsule on which they were busy installing internal components for training. 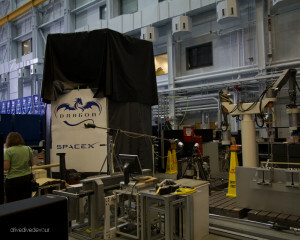 There were also some SpaceX components in the building, but some of them were a little more shrouded in secrecy. 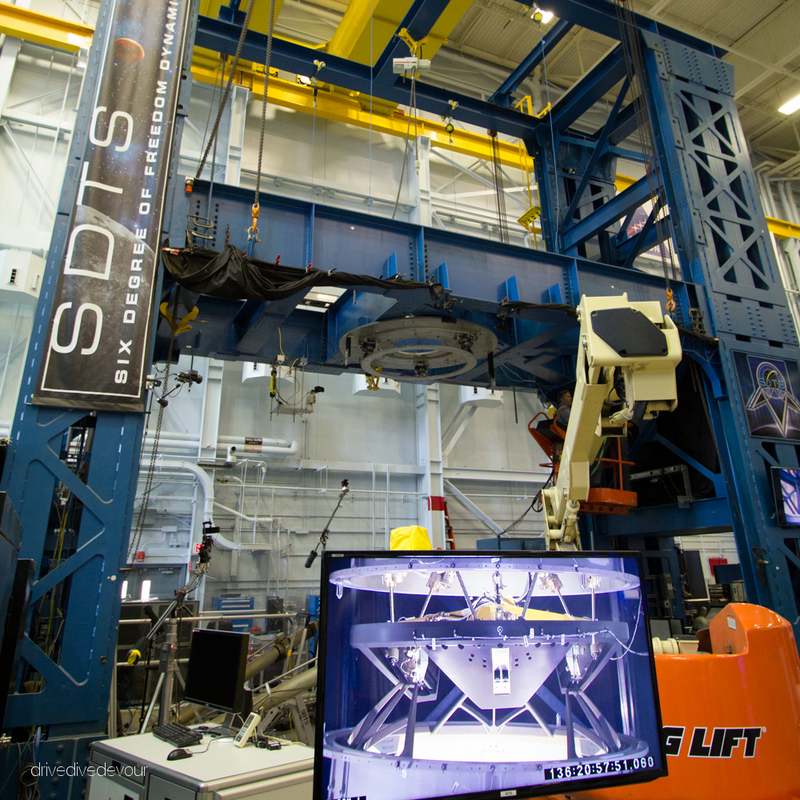 This rig lets them test fit docking rings from various private and international companies such as SpaceX to ensure that they will mate successfully with the ISS. This is an actual space suit from one of the space shuttles. They are using it to test something and we were right next to it. No glass, no railings, just us and all this cool stuff. 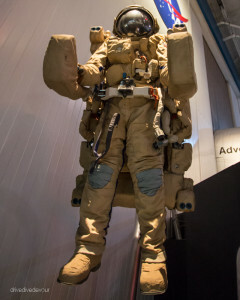 A real space suit from the Space Shuttle missions. I don’t know what this is, but I didn’t stick my hand in it. The next stop was lunch. This being an all access tour meant we ate lunch in the same cafeteria as the astronauts and engineers of NASA. On our way in, we saw astronaut Timothy Peake leaving. We were each given a ticket that allowed us to get anything we wanted from the cafeteria and to choose a table. Off to my right, I overheard a group of engineers talking about the ISS and something they were working through. Behind me was a couple of marketing guys talking about the NASA facebook page and the Twitter feed. I sat quietly taking it all in as I ate my burrito. 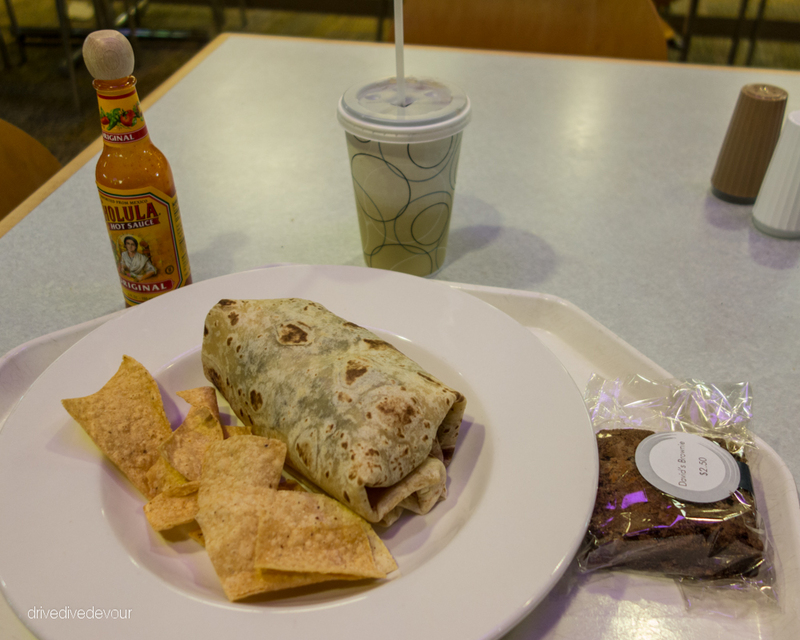 Pro-Tip: Wait to buy your souvenirs until you get to lunch. There is a gift shop in the cafeteria and since it is for government employees, the prices are much lower than the Space Center Gift Shops and they don’t charge tax. After lunch, we got back in the van and headed over to Mission Control. 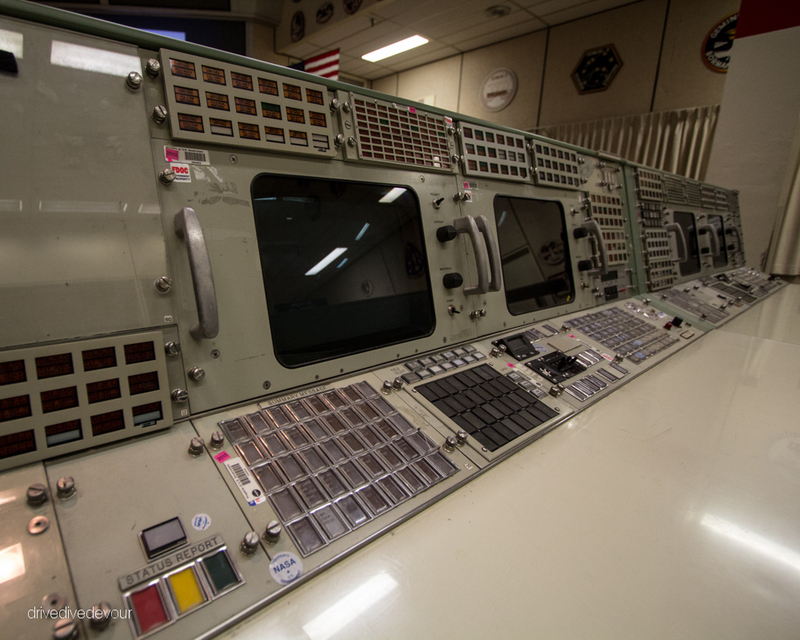 Here we were shown the past, present, and future of mission control. 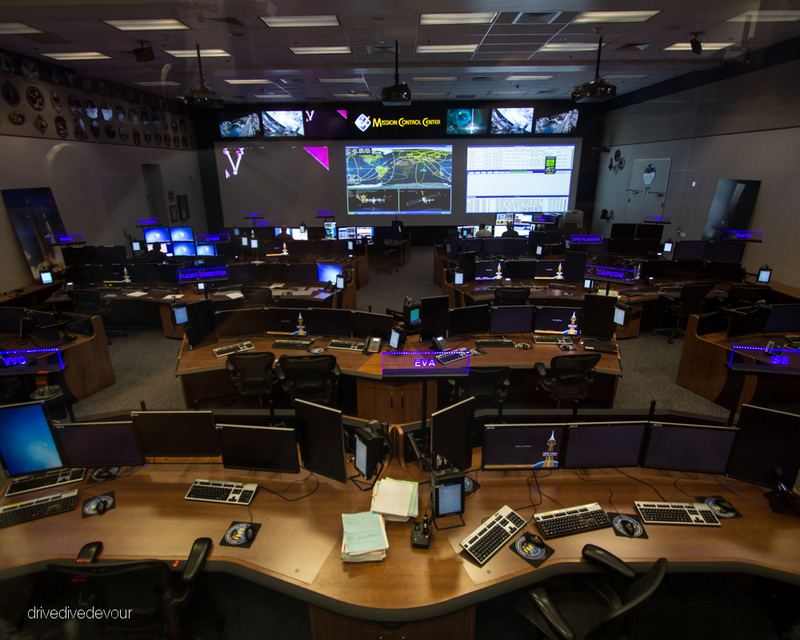 The first stop was the present; the current mission control room that is flying the International Space Station. Here we got to quietly observe the space station as the astronauts were headed off to sleep somewhere over North Africa. 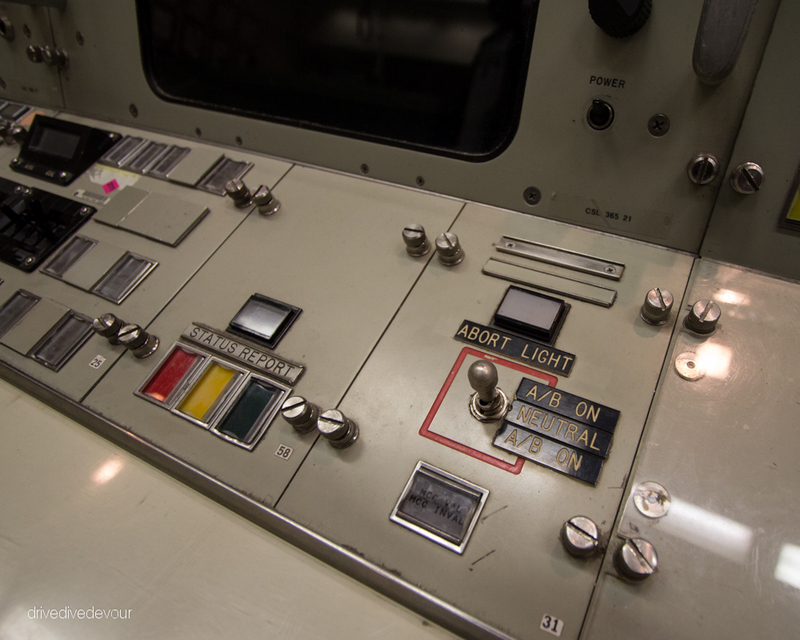 Our guide told us about each position in the control room. We were fortunate this day that a group from the NASA IT department was also giving a tour, so we got to hear a couple funny stories about what it’s like to be IT for NASA Mission Control. One anecdote involved an astronaut on the ISS forgetting his email password and calling the NASA tech line from the ISS to request a new password. 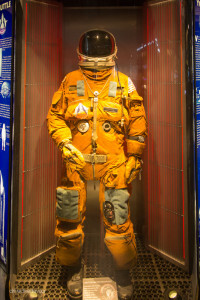 The astronaut could not remember his pin number to authenticate his password reset so the tech just asked him to come over to the office to get it reset. 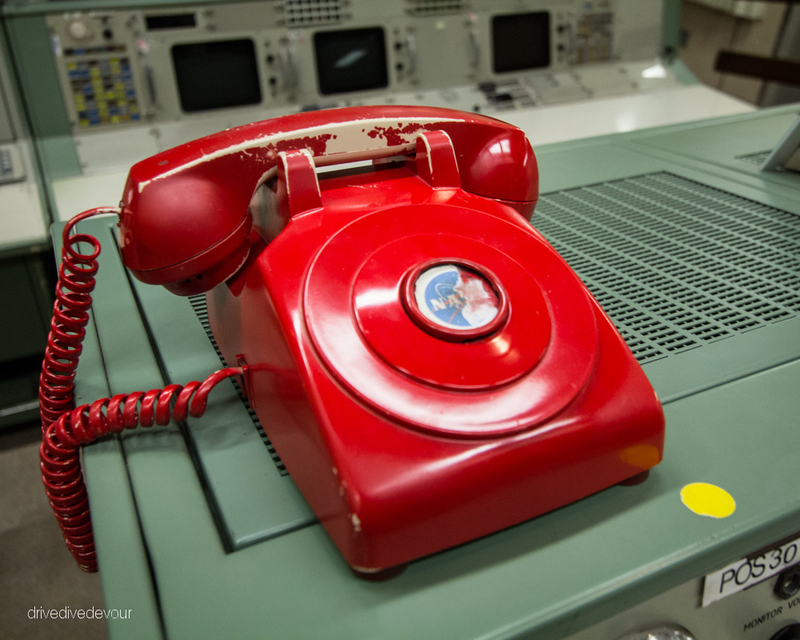 The tech didn’t quite understand that this guy was calling from space. The astronaut then asked the tech to tune their tv over to NASA tv. There the tech saw an image of the flight director holding up a sign to the camera that said “RESET THE PASSWORD!” Apparently, you don’t mess with the flight director. The next stop was to see the future of Mission Control at NASA. Here you see a much less cluttered environment that feels more open and integrates more touchscreen technology. 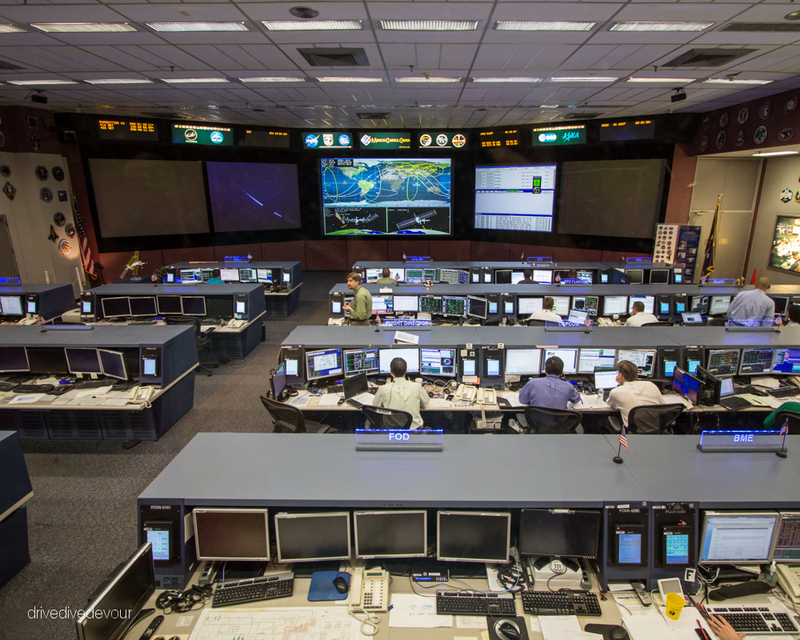 After thorough testing, NASA will move Mission Control over to this room. Finally, we were invited to see the past. The actual mission control room for all of the moon landings and most of the shuttle missions. 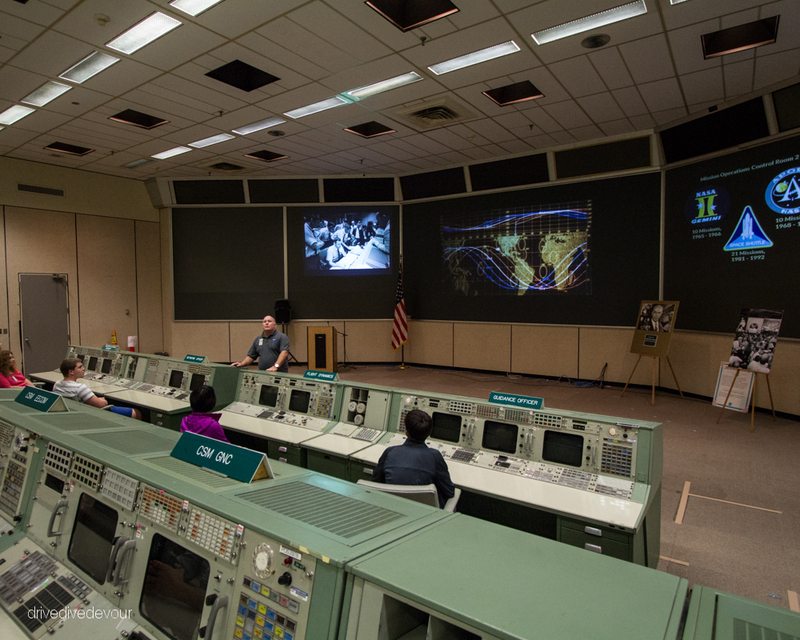 My parents remember watching the moon landing on tv which was all controlled from this room. 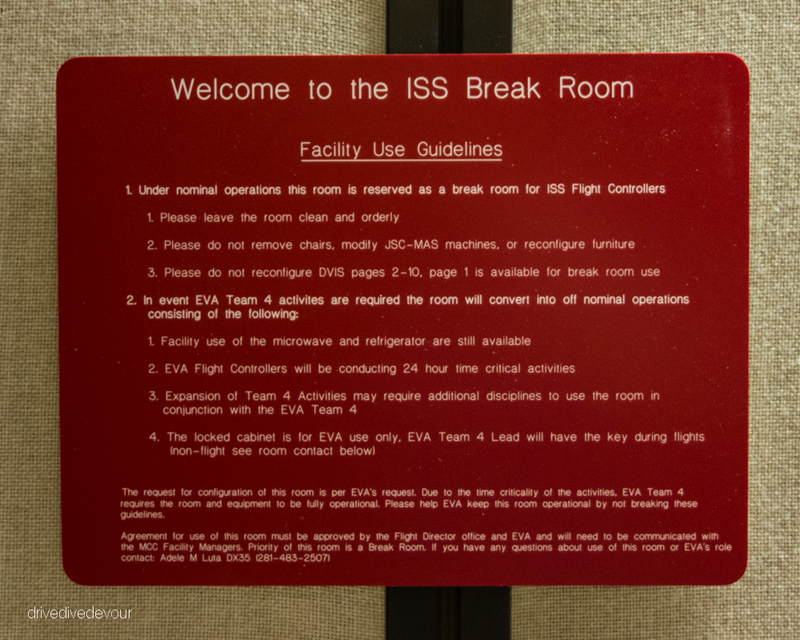 I remember watching the Challenger disaster which was also controlled from this room. Unlike the regular tour that just gets to view this room from behind glass, we got to sit in the actual seats while our guide talked to us about some of the people who sat here before us. 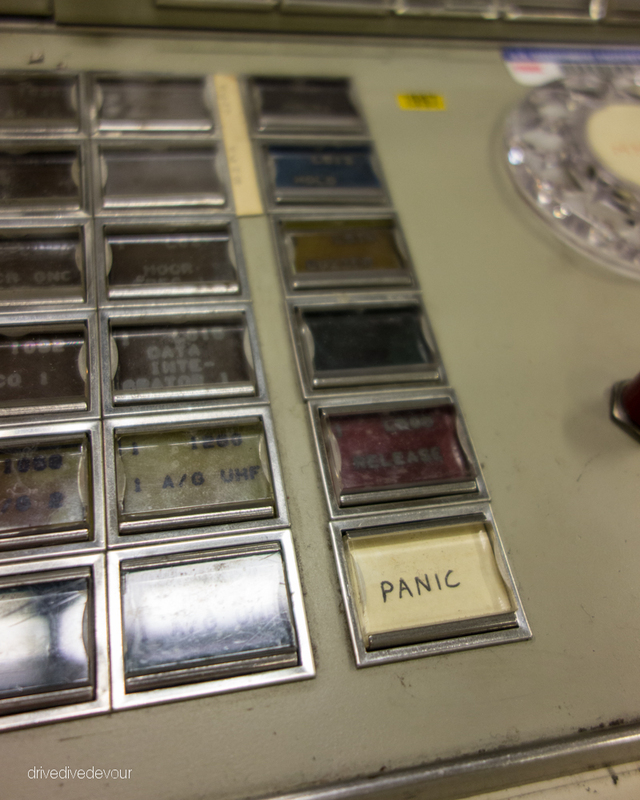 When Apollo 13 called and said “Houston, we have had a problem”, this is the room they were calling. When the Eagle landed, it was controlled from here. It’s amazing to think that my camera has more computing power than the entire space program when they put a man on the moon. Sitting in the flight director’s chair. Someone’s idea of a joke. You didn’t want this phone to ring. 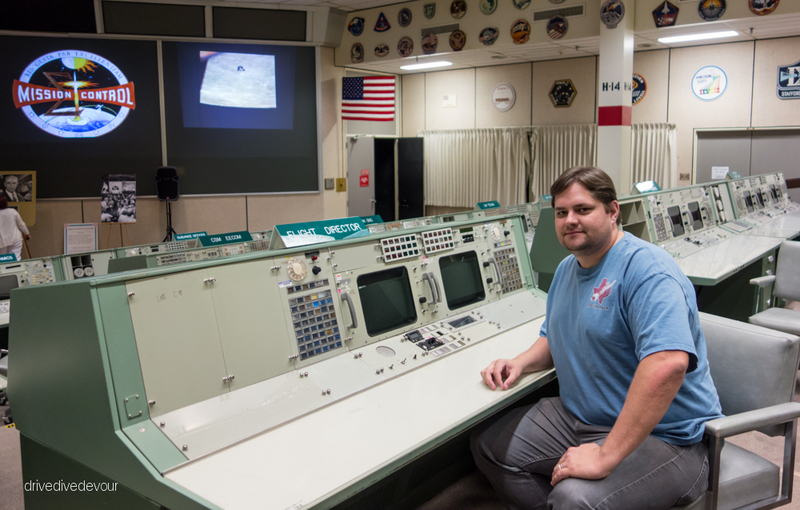 It was great honor to sit in the famous Houston Mission Control. I am afraid one day they won’t allow the tours to do this anymore. The guide told a story of one of the tourists that started opening up the cabinets while sitting there. It just takes one incident in this historic room to have it sealed behind glass forever. NASA has a lot of rules and a lot of procedures. I got a kick out of this very official looking sign for the break room. 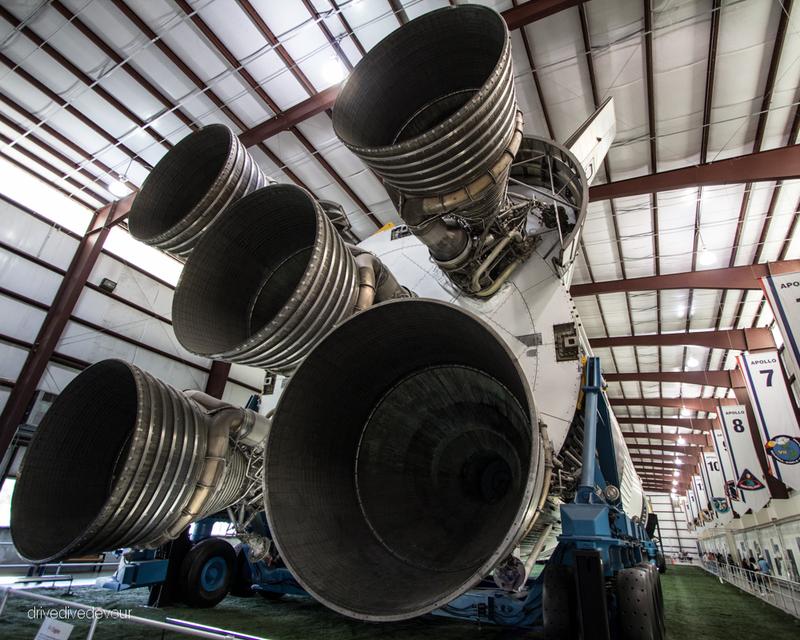 The last stop on our tour brought us back to view the mighty Saturn V rocket. After the program was shut down, two rockets were left behind. 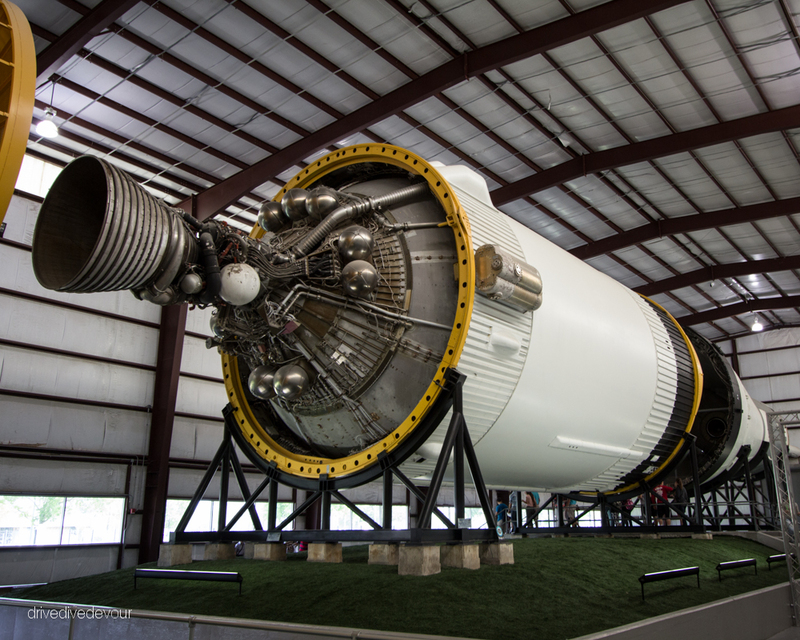 My grandfather was one of the 350,000 people involved in the Saturn V program, so it was pretty cool to seen one of the actual rockets in person. It’s hard to capture in photos the magnitude of this machine, you really should see it in person. 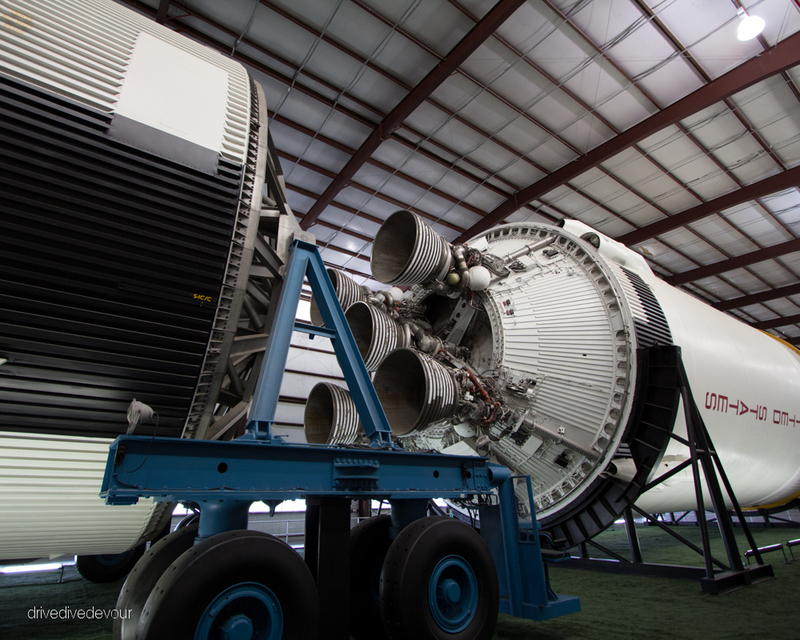 Pro-Tip: The Saturn V on exhibit at the Johnson Space Center is owned by the Smithsonian making it is free to visit without having to buy tickets to the Space Center. Just look up Rocket Park in Houston. 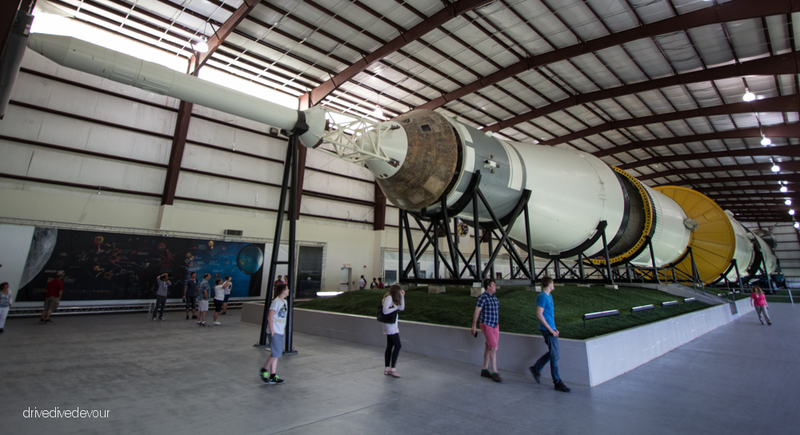 After our visit to the Saturn V, the tour wound back to the main museum space just in time to purchase a few souvenirs before closing. 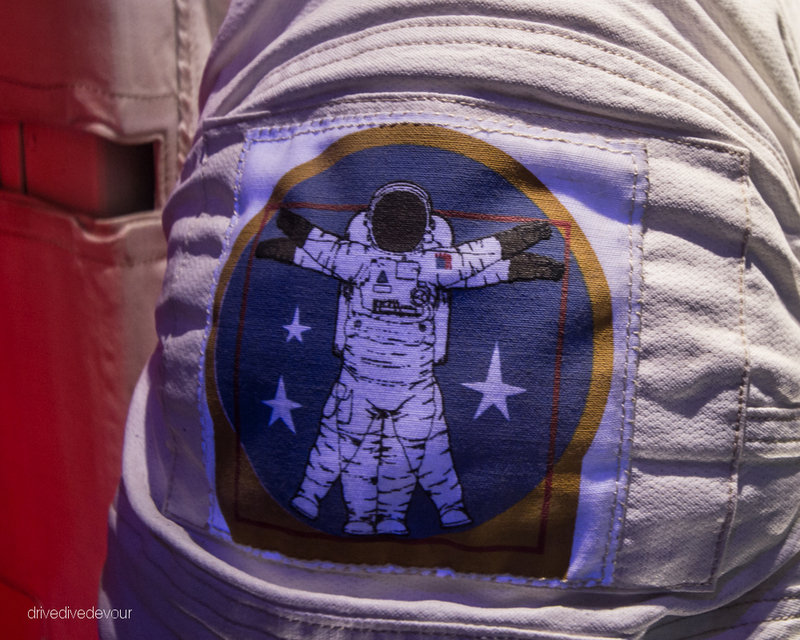 I already bought a t-shirt at the cafeteria, so I took this time to check out some of the space suits on display and the space toilet! 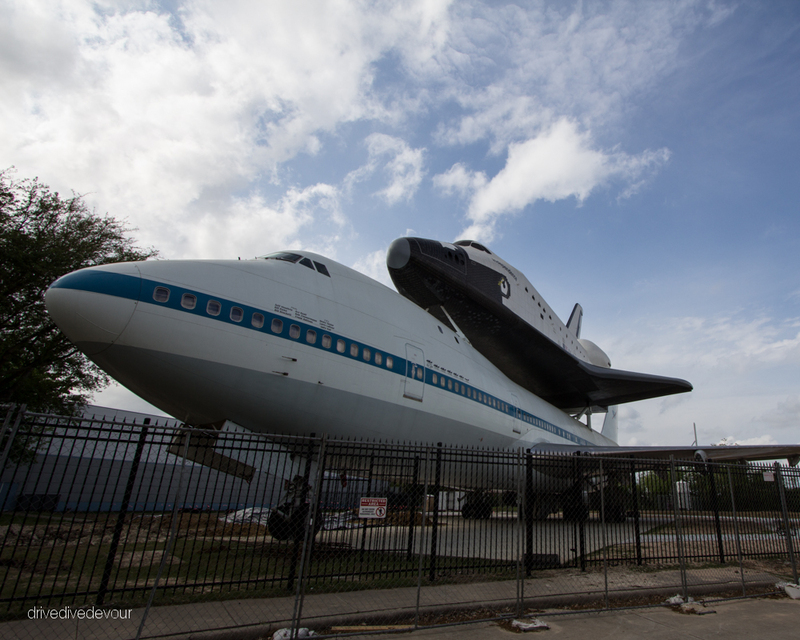 On the way out, I stopped to check out the last 747 used to carry the space shuttles. Boeing donated it to the museum and it will soon become an interactive exhibit that you can walk through. I finished the day eating dinner with my dive friends I met at Valhalla that work at NASA. We enjoyed some Rudy’s BBQ and talked diving, the ISS, and future hopes for Mars. 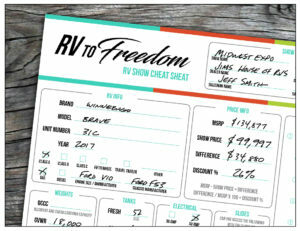 This is a very cool tour and well worth the money. If you are even slightly interested, you should do it. It’s rare to get this kind of access to artifacts like this anymore. Make sure to book way in advance! Great pictures and captions. Thank! 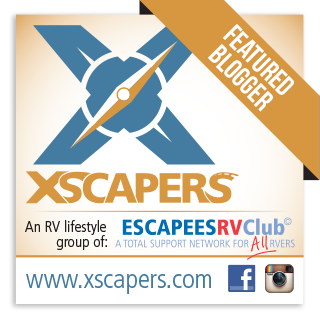 Did you see Laura’s blog this week? They took the tour and it was vastly different to your experience. Thank you very much for all this information which will be very useful for my next visit to the Johnson Space Center (Level 9).